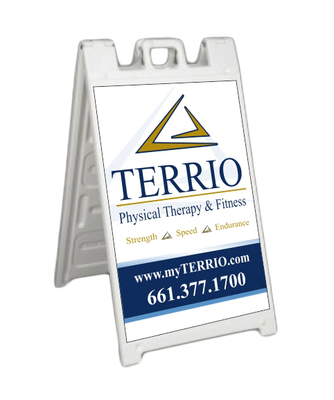 ﻿Our sidewalk signs are powerful displays that bring the message to your customer right on the street! 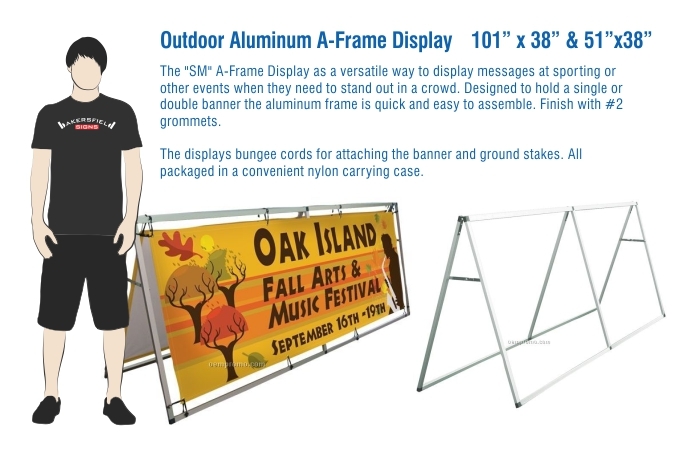 Bakersfield Signs creates and sells many A-frame signs, temporary signs, sandwich boards, and other outdoor durable products to help you promote your business or products. These products are custom made, yet affordable and specific to your needs. 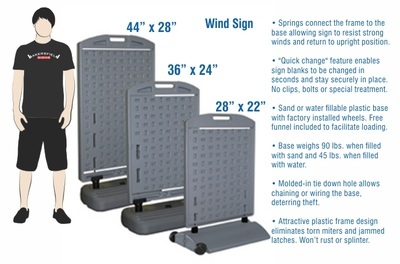 Our expert designers and state of the art equipment allows us to offer a large variety of sign products that are commonly classified as Bakersfield Signs sidewalk signs.